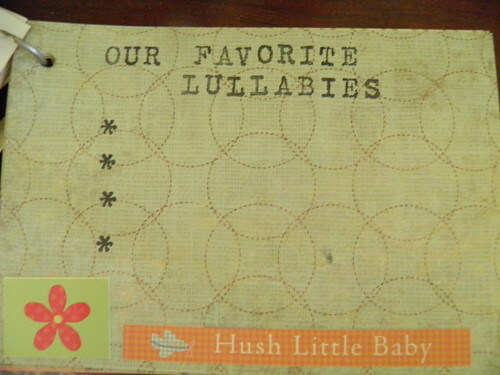 The back of the book had a few pages to reminisce about other things, such as "Our Favorite Lullabies" and "Our Family Tree." 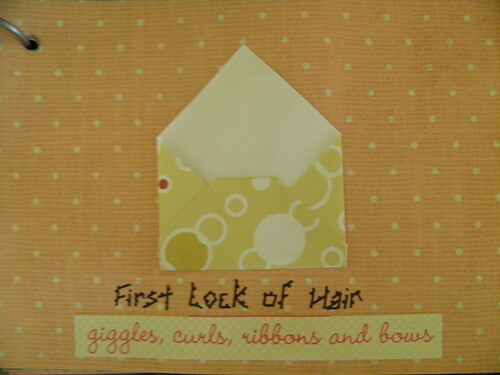 I also included a little envelope for the first lock of hair. 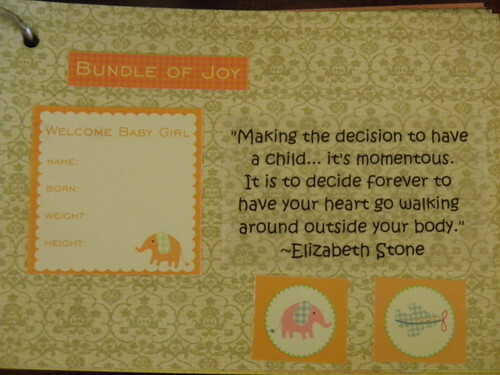 The second book was designed with one pocket for each of the child's birthdays through age 18. And each pocket was furnished with one sheet of writing paper. 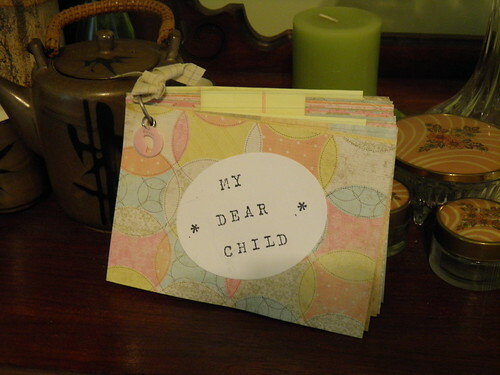 The idea is to write a quick note to your child on each birthday about what the past year meant to you and to let your heart out. Then, when they're old enough to appreciate it, you can share the stack of letters with them. I do this every year for my son, and I thought I would share this wonderful tradition with my good friends and blog readers. 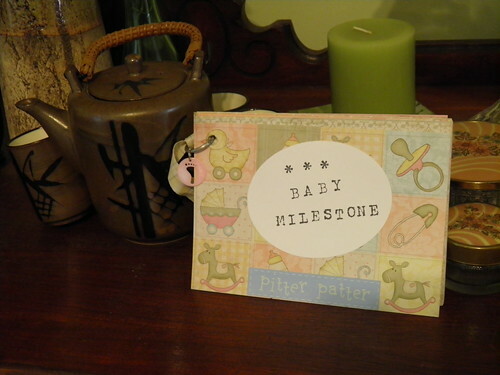 For each, I bought a stack of baby-themed cardstock from Hobby Lobby. I punched a hole in the corner of each sheet and strung them through a binder clip. 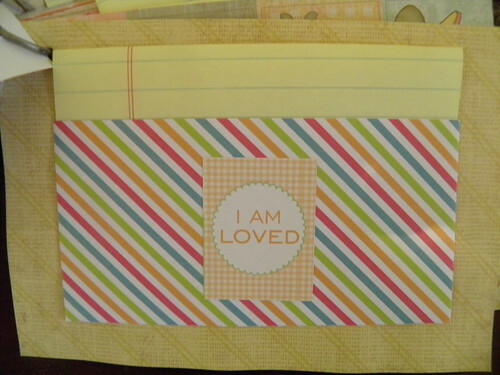 The stamped words throughout were made from a small set of letter stampers. 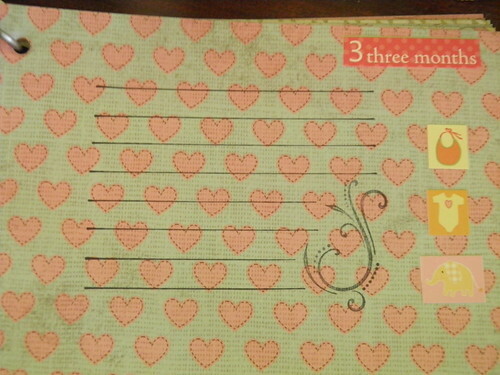 I embellished the pages with a few baby-themed stickers and other ephemera, but I wanted to keep it fairly simple. I just can't wait to see what the ladies do with them!